I have no idea who created the stereotype that only retirees go on cruises but I’m okay with that because that’s more adventure for me to enjoy. My first cruise was a three day voyage to Nassau in the Bahamas and it was enough to get me hooked and anchored to Carnival. I haven’t cruised with another company yet because Carnival is known for being the party cruise line. There were two bachelorette parties and a bachelor party on the Carnival Imagination in 2013 and those folks left with some stories. 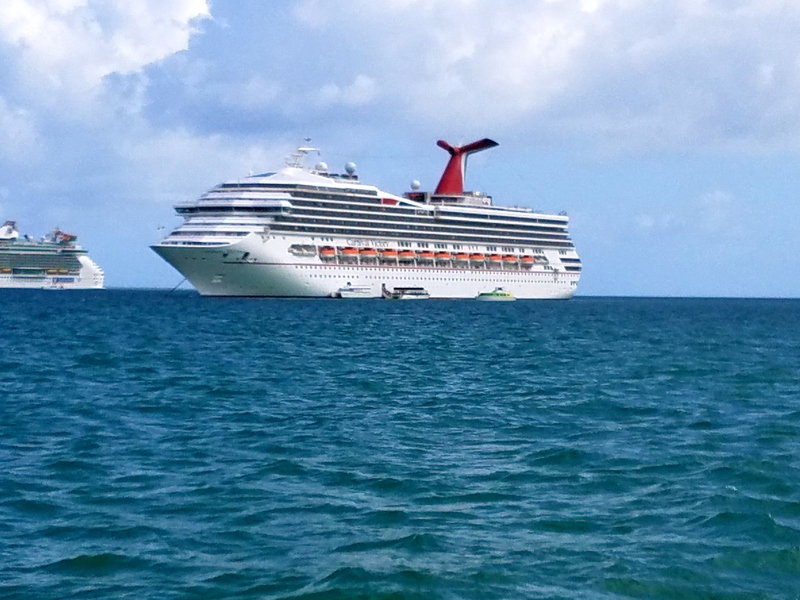 Fast forward three years later and I decided to journey with five of my friends on the Carnival Victory for a seven day Western Caribbean trip at a cost of about $600 per person (not including airfare). That $600 did include all the food you can eat, two formal dinners and an interior room. Don’t try to talk me into a room with a window because that’s super unnecessary. 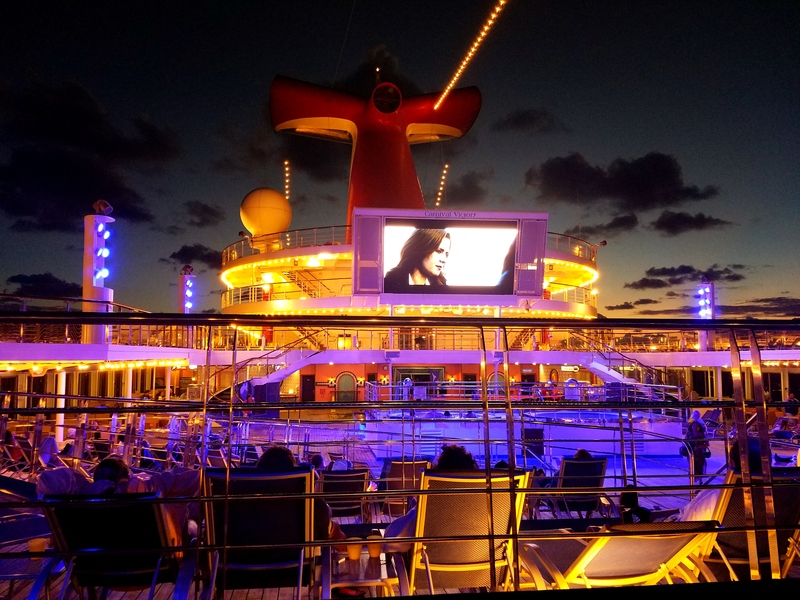 You could go to any deck and see that same view and save those extra dollars for excursions. 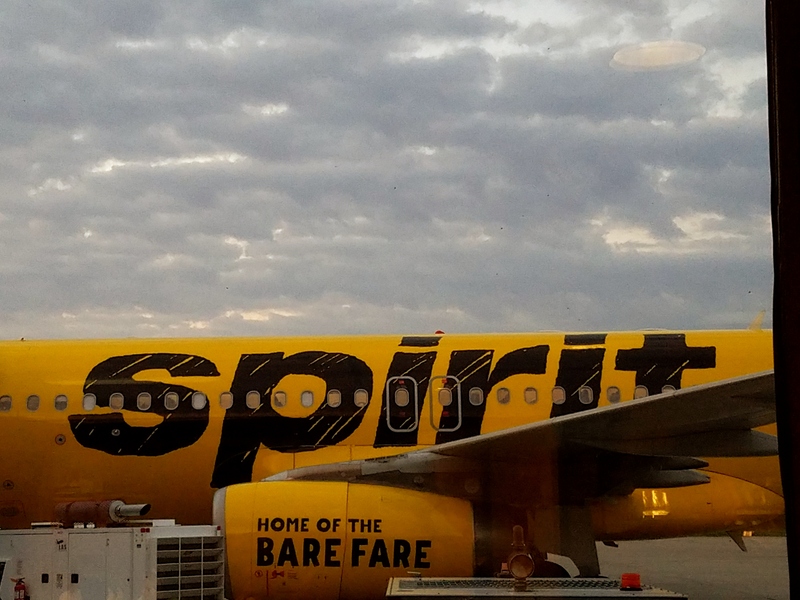 It wasn’t my first cruise but it was my first time flying Spirit Airlines. I was nervous after reading the horror story reviews on the internet but I must give them props when props are due. They fly comfortable Airbus Planes and they don’t skimp on the seats. They’re just very upfront about all the fees. I still saved money after paying $80 for my checked luggage. Sure they don’t have Wifi and make you pay for snacks but I’m cool with that. The cherry on top was the pilot was hilarious and each way we arrived early. “Thanks for flying with us. If you have any complaints please direct them to Delta.com,” the pilot insisted after getting us to Orlando thirty minutes early. My only complaint about Spirit is that in Orlando their ticket counter was a hot mess. Why do you have to stand in the same line to speak to an agent and to use the self-service kiosk? Also, their ticketing agents were a bit rude. I’m sure some of them are very nice but as the face of a company they should be a little more even tempered. My ticket agent was a disaster. She assumed I wasn’t prepared and wanted to move to the next customer while I was standing in front of her. I smiled disregarding her rudeness and placed my luggage on the scale insisting she wait on me. The flight crew totally made up for this ridiculousness. It was my friends’ first time flying and I informed them not every ticket counter was a zoo. 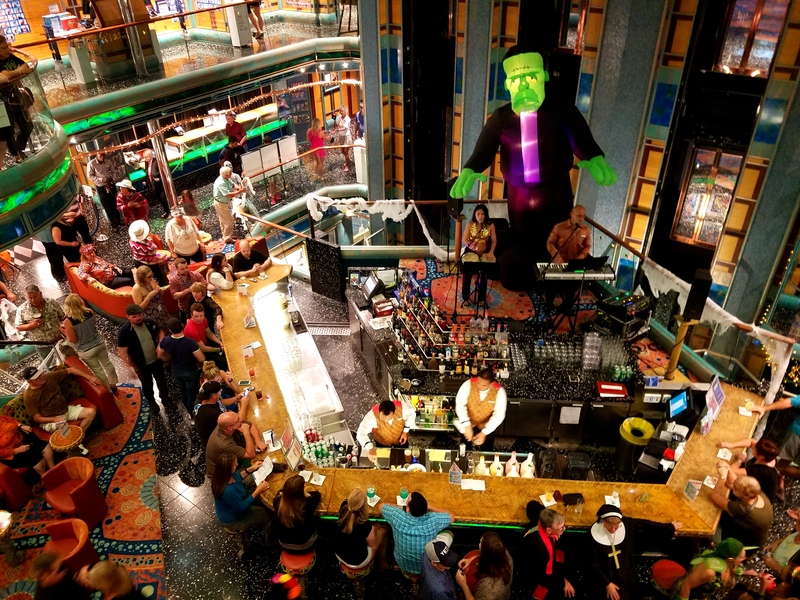 The actual cruise departed on October 29th and it lived up to all my expectations. Carnival understands the importance of customer service because I didn’t meet one of the 11,000 crew members who didn’t have a smile on their face. Their staff comes from all over the world with a common goal to keep cruisers safe and happy. 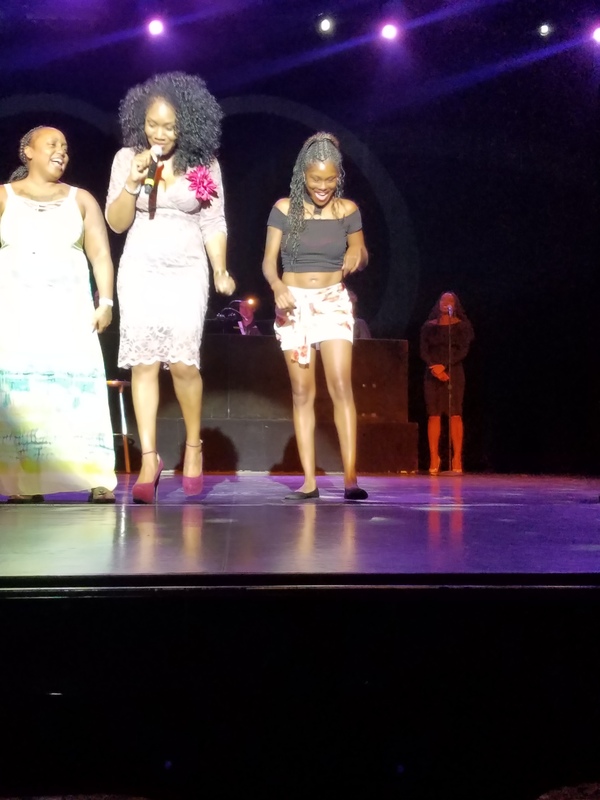 Consuela Ivy held down the Motown Show commanding the stage and interacting with the audience. Yes it did rain every day of our cruise but we were okay because it was brief and we were in paradise. 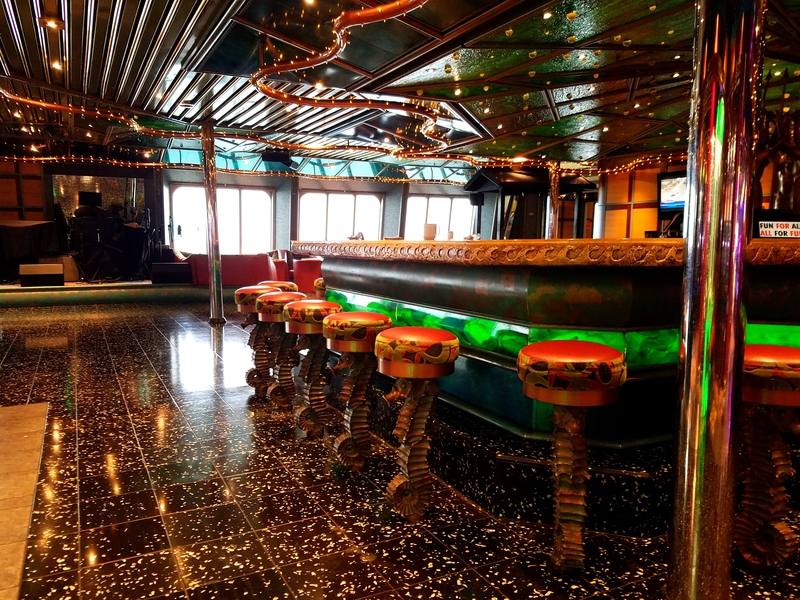 The Carnival Victory has 10 pools including a waterslide and multiple hot tubs (including an adults only Serenity Deck and an adults only pool area), a poolside dive in movie theater, a nightclub, casino, and comedy lounge. Those are just highlights. October 31st was utterly amazing. Some of the staff dressed up for Halloween and it was impossible to be bored. The programming won’t allow for you to be bored. Some of the highlights on board were a comedy show, The Motown Show (starring an amazing singer Consuela Ivy who sang Motown classics on demand), The Lido Deck Party (hosted by Pauly V), the 24 hour made to order pizzeria, and this crazy game called Quest that involved getting to know strangers way more than necessary. Dinner was ever changing with every port highlighting delicacies from every destination. Throughout dinner the staff was always proactive checking up on us before we even knew we needed something. Our waiters were the same every day and they addressed us by name. Wayan, Ida, Kadek, and Gusti became family to us. We were sad to part ways with them on the last day. Even housekeeping is the same person every day. My friends actually ran into our housekeeper Putu on his time off enjoying Roatan. I’ve long learned that when you get to know the people helping you, you’re also helping yourself. From the bartenders Ali and Dean who were getting to know my choice of beverages to the Cruise Director Marcelo Marshmallow, 11,000 people united together and thought out every detail to make our voyage beyond awesome. Like any other thing with greatness does come madness. My only complaints were in regards to how they handle their photography and how to claim bottles of alcohol you purchased on the last day. It is indeed 2016. When is the last time you took a photo and said “Hey I’m going to print this, frame it and hang it up?” Most millennials do that on special occasions and for presents. Carnival literally takes at least two or three pictures of you every day (optional) and they print them and display them all. There are so many things you can do with these photos except take pictures of them and get a digital copy. Sure they probably recycle the hundreds of unpurchased photos but so much money could be made and saved by offering the purchase of digital photos. Cedar Point does a great job with this. People pay like $40 for unlimited digital photos with a season pass. They even had a self-service kiosk. I totally understand why when I purchase a bottle while in port or even at the Fun Shop on the boat why I cannot consume it on the ship. No one would buy their eight-dollar drinks and everyone would be drunk. Once upon a time on the last night of your cruise Carnival would deliver your duty free purchases outside of your door but apparently that didn’t work because people would steal other people’s alcohol. I purchased a $50 bottle of Pure White Hennessy for my mother (she rarely drinks but she was intrigued because it’s not in PA) and a bottle of Patron Mango (because I had a sample and a guy named Miguel in Belize sold it to me). I had to turn my purchases in to Carnival both instances to be returned on my last day. That last day I didn’t have to stand in just one line but two at 6:30am because Carnival thought this was a better solution. One line was for onboard purchases and one was offshore. No one really communicated how the line system worked and all in all such a system was a disaster. Maybe they could’ve combined the lines or utilized one of the empty bars to distribute such things. I felt bad for the lady who was just picking up a hunting knife for her kid’s friend. She was nice enough to give me cereal while I was in line because misery loves company especially at 6:30am. Despite a few hiccups I can live with, my trip wasn’t bad. I still like Carnival and I know they’ll exceed my expectations next trip. I’m already putting together one for 2017. I mean who wouldn’t want to live on an all you can eat, mostly friendly, casino having hotel? Cheers to that! Tips to take away from this post are don’t book your excursions through Carnival (or do but I’m trying to save you money) and two do book early. Also, do keep your eyes out for part two of this post exploring some of the adventures I went on while visiting places like Belize and Cozumel. The atrium was all types of Halloween ready. Even the performer for the evening was dressed up as Selena. You will rarely ever see the casino this empty. 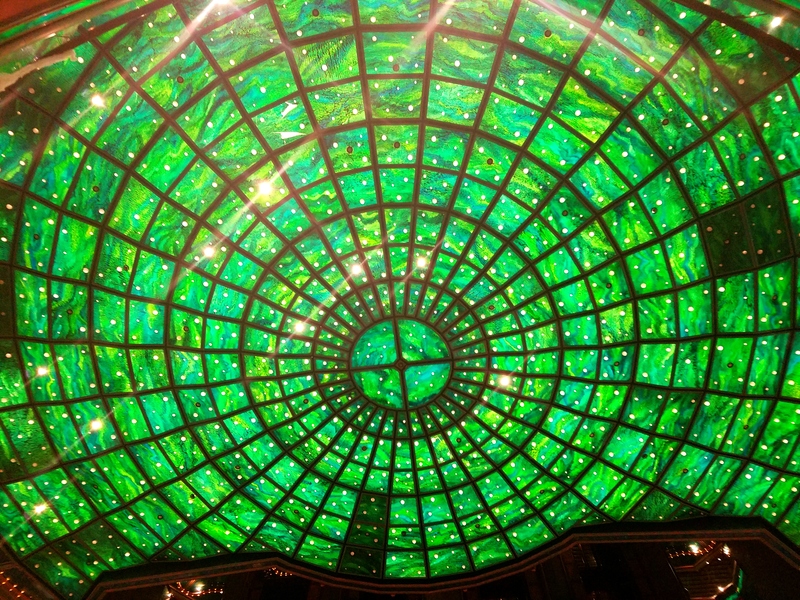 Every time I cruise I love taking pictures of the atrium stain glass ceiling. I liked this piece. Good info! Thanks. I enjoyed writing it. Belize was by far the best.